A CULTURAL INSTITUTION IN CENTRAL NEW YORK. Upwood was in town interviewing for a job with Syracuse’s newly christened Educational Television (ETV) station, WCNY, Channel 24. The snow, however, wasn’t the only thing on Upwood’s mind. Besides the engineering challenges mapped out by Barron, he learned that WCNY General Manager Thomas Petry was developing a busy schedule of local programming produced in the studio. 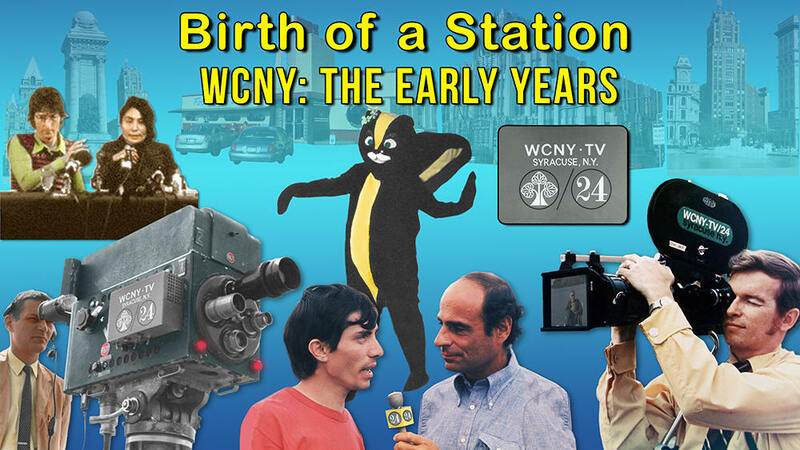 Petry also had plans for a remote unit that would put WCNY cameras at various Syracuse locations. And it all had to happen on a county-mandated budget. 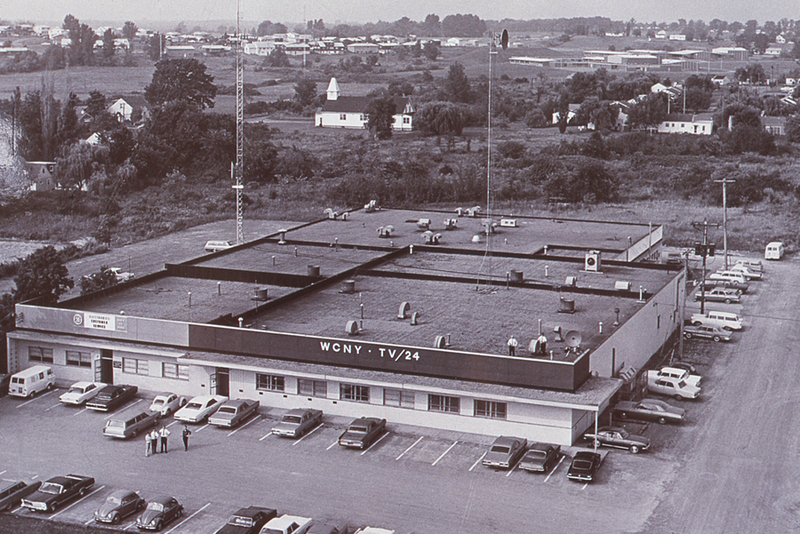 WCNY came into being in 1965 through a committee of the Onondaga County School Boards Association. While there were adequate funds for the staff and facility, frugality was preached by management and practiced by the production and engineering staffs. The station's first studio cameras were fifteen-year-old RCA TK-30's, borrowed from WHEN-TV's mobile unit. The station’s treasurer kept transportation costs down by purchasing a fleet of government surplus 1961 Ford Falcons. With their rusty midnight-blue paint jobs and clunky transmissions, the Falcons did the job…but just barely. Cost controls meant that reels of two-inch videotape, which cost about $150 per hour, were re-used repeatedly until worn out. WCNY's recorded programs such as Art's Forum were erased when the tape stock was needed for new programs. As a result, Channel 24 has no copies of programming from its early years to use as historical references. WCNY’s facility would be modest compared to the lavish color-equipped studios of NBC affiliate WSYR and CBS affiliate WHEN. Channel 24 would begin operations with black and white cameras, donated racks of monitors and electronic support gear, and the largess of General Electric, whose Syracuse plant manufactured broadcast equipment. Key ingredients granted from G.E. would include a former G.E. training and industrial film studio on Old Liverpool Road that would serve as the station’s offices and studio, and the services of Paul Barron, a G.E. engineer who became Channel 24’s Chief Engineer.